“Always the bridesmaid, but never the bride.” That’s the saying everyone hears about being a bridesmaid. While there’s nothing wrong with it, being a bridesmaid is a good thing to do. 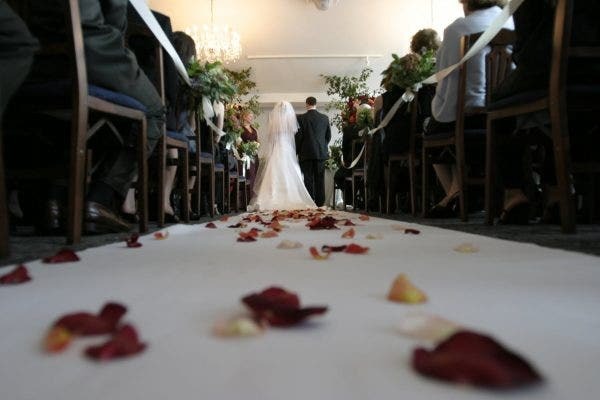 It gets you into the nitty-gritty of planning a wedding. Planning one can be pretty stressful and bridesmaids are very much needed to help out. 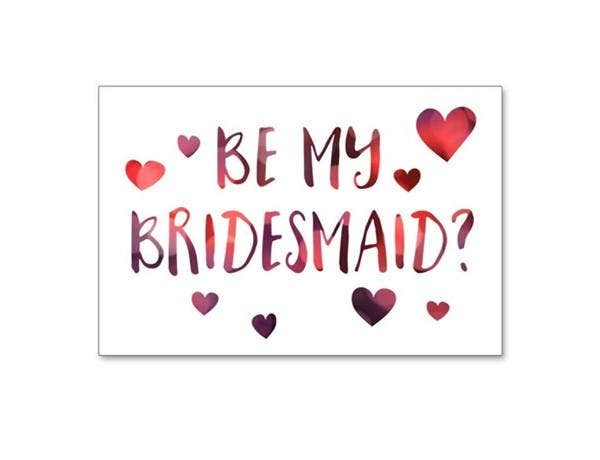 In inviting a bridesmaid to help you in planning your wedding, you have to send a bridesmaid postcard. 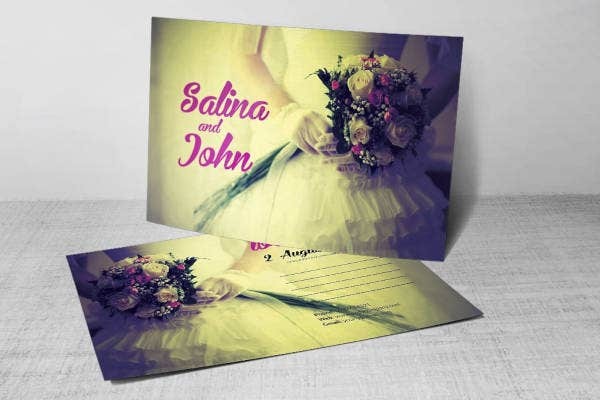 It is designed in accordance with the wedding themes. Check out our template collection for some ideas. Most postcards are designed in almost the same fashion. It has to be clean, stylish and minimal, depending on the purpose. 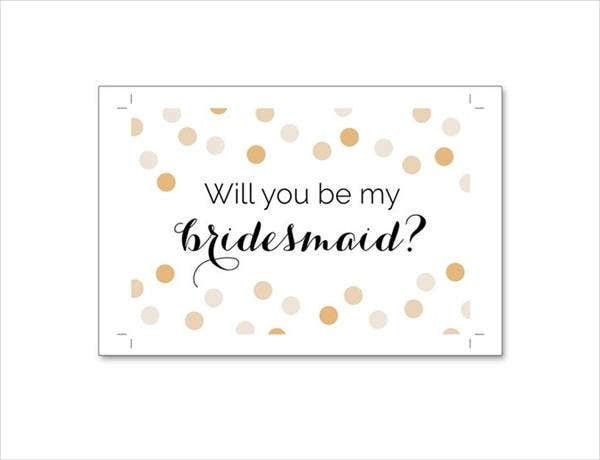 In designing bridesmaid postcards, you should be able to use wedding elements such as flowers, bouquets, and gowns to create a stunning design. As with other designing principles, use colors well and do not overcrowd your design. 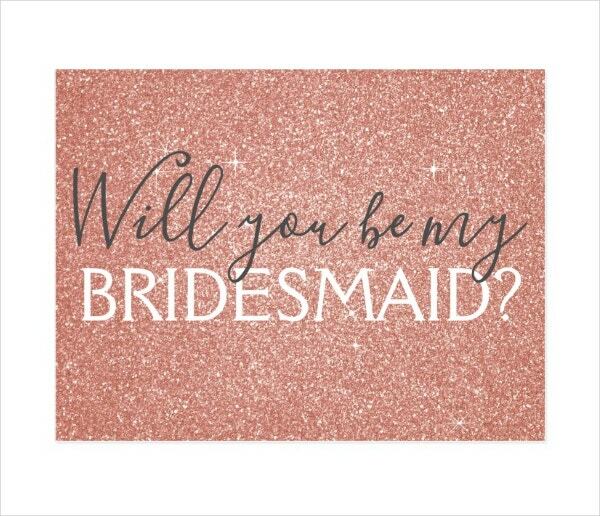 For the wording, you have to craft it well for the potential bridesmaid to say yes to the request. It all just matters on how you design the postcard. 1. Lend some help and do extra tasks. Offer your time and effort to help in planning the wedding. You can do some extra tasks for the bride without being asked for it. That expresses your sincerity in helping the bride. Have constant communication with her and bring her snacks for her to munch on while planning the wedding. You may also see bridesmaid cards. 2. Accompany the bride in dress-shopping. You have to be with the bride while she shops for the dress she will wear at the wedding. Your second opinion is needed to find out if the dress suits her or not. The dress should look beautiful on her and fit her body without any discomfort. You may also see wedding invitation postcards. 3. Pick a great wedding gift. Giving wedding gifts is part of the wedding etiquette. The price range of your gift can depend on the budget you have. If you are struggling financially, go for a more sentimental approach. You can make a short video containing photos of your memories through the years, or write her a personal message in an expensive notebook. Anything goes as long as its sincere. You may also see event postcard templates. 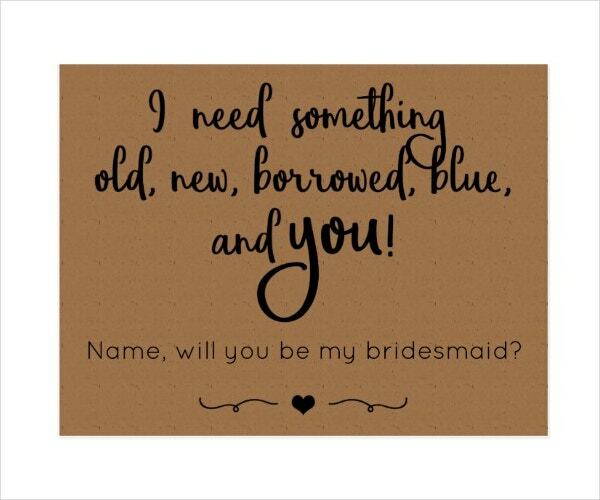 Send a message to every other bridesmaid and ask about their ideas in helping the bride out in planning her wedding. Ask them about the bride’s personal preferences if you only know a part of it. Check out their schedules and arrange them so you could brainstorm well and have everyone play a special part in the wedding. You may also see blank postcard templates. 5. Accept the wardrobe decisions wholeheartedly. You can help the bride in making decisions for the wardrobe but you have to follow whatever motif she has decided for her bridesmaids. You can’t do anything about it. Call up the other bridesmaids and let them fit the dress. You also have to do the same as well. You may also see advertising postcard templates. Being a bridesmaid can be so stressful especially in the early planning stages. The bride is going through the same stress and anxiety level as well. Do not ever complain about the number of tasks that you do. This makes the bride feel offended and would eventually think she chose the wrong person to help in planning her wedding. The day is important and special to the bride. As a bridesmaid, you have to be there for the bride at all times. You may also see holiday postcard templates. 7. Listen to the bride talk. In planning for the wedding, you are always at the bride’s side almost every day. Just listen to the bride talk about her fears, wedding jitters, her frustrations and excitement about the whole thing. She has the willingness to share when you are eager to listen. A few reactions and comments will do, but just let the bride talk all she wants to ease the nervous feeling inside her. You may also see photo postcard templates. 8. Boost the bride’s self-esteem. Sometimes the bride is at her lowest while planning for the wedding. She sometimes does not know what to do and she feels like the odds are against her. Boosting the self-esteem of the bride will help her cheer up a little. Be interested in her feelings and flatter her a little. This would help her be at ease while planning her wedding. You may also see postcard templates. 7. Make fun events dedicated to the bride. The bride serves to have a little fun before she ties the knot. Plan the bachelorette party for the bride. Set the budget and use it well. Coordinate everything from the venue, food, drinks, games, and the guy dancer who will tease the bride a little. He allows her to enjoy her last night as a single woman. Her wedding day will change everything. Say messages to the bride and wish her well for her new journey. 8. Be present on the wedding day. You have to be there on the wedding day. This is the last hurrah of helping the bride with her needs. Glam up properly and wear the dress according to the bride’s wishes. Ask the other bridesmaids how they are doing. Make sure the event runs smoothly with all the right details in place. As a first time bridesmaid, you have to think that everything will run smoothly and nothing can go wrong. A positive mentality will get you going through the day. Just pray that everything will be smooth-sailing. What is important is how the bride feels in her special day. Have the energy to mingle with the guests as the bride is basking in the attention of the people in the reception. You may also see vintage postcard templates. 10. Patch up a conflict between bridesmaids. Conflict is inevitable in weddings. It can happen because two bridesmaids are butting heads with each other due to a very petty reason. As one of the bridesmaids, it is your job to pacify the conflict. It might ruin the whole thing. Remind them that the wedding is about the bride and not about their beef with each other. You can solve this in the most low-key way possible and make them feel that they are not in the right place to unleash their inner demons. Make sure the bride does not know about the conflict in any way possible. You may also see sample wedding postcards. And by staying focused, it means getting your full attention geared towards the needs of the bride. Anything that happens next is unpredictable so you have to be ready. It is alright to mingle with guests but when the bride calls for you, be there immediately. Drink moderately in the reception. Alcohol is part of any party. Getting yourself drunk will distract you from attending the bride’s needs. You may also see powerpoint postcard templates. As an expression of gratitude, send a thank you note to the bride with a bouquet of flowers to the bride. For sure, it made you feel flattered to be a bridesmaid. With all the stress and flashiness that you had to go through, being a bridesmaid is still worth it. You may also see holiday postcards. Postcards are cheaper marketing method for any simple business. In newspapers and television, you have to pay for the airtime, make a concept for the ad, design it and secure a space in the paper. It involves a lot of money. With postcards, you can just design a template and distribute it well. 2. Keeps competition a secret. While other companies are spending big bucks to promote their product, your use of postcards will make a difference. It keeps competition a secret from everyone. Your competitors would not know that you are already advertising your product. You may also see save the date postcards. Postcards of any sizes can be used for almost anything such as product promotions, marketing and thank you notes. The mode of usage usually depends on the size. Postcards have only a limited space so no part of it will be thrown into waste once you start designing it according to your need. It effectively utilizes every space available and makes sure the postcard looks stunning no matter what the size is. You may also see postcard templates for kids. Being a bridesmaid is some tedious but fun task. You get to be excited as much as the bride does in the wedding. It also helps you envision yourself as a bride when you plan your own wedding. But for now, you have your tasks as a bridesmaid in hand a whole lot of postcards to keep. You may also see printable postcard templates.